Acute lung injury, a common condition characterized by acute severe hypoxia without evidence of hydrostatic pulmonary edema, remains a key source of mortality and morbidity in critically ill patients. The condition has a high incidence rate across the globe and overall rate of mortality remains high. Pathogenesis of the condition is explained by injuries to both the alveolar and endothelium epithelium. Recent advances in the field have helped researchers gain a better understanding of pathophysiology of the condition and several biological markers associated with worse clinical outcomes have been identified. Ongoing research in the area of fluid conservation and lung-protective ventilation strategies have demonstrated improvements in survival rate of patients. Potential treatment methods such as statin therapy and nutritional strategies are also expected to gain more focus from research bodies operating in the area of treatment of acute lung injury. It has been observed that even in patients who survive acute lung injury, the quality of life is adversely affected in the long term. Although several advances have been observed in the overall understanding of the treatment, pathogenesis, and epidemiology of the disease, more progress is required to further bring down the rate of mortality and morbidity resulting from the disease. The high rate of prevalence of the condition and the lack of a proper treatment makes it an unmet medical need, requiring the development of novel therapies with improved clinical outcomes. This report presents a detailed overview of the present scope of growth for companies operating in the global acute lung injury treatment market. Acute lung injury (ALI) is a medical disorder with concentrated oxygenation capacity of the lungs in spite of administering oxygen in high concentrations. Acute lung injury (ALI) comprises acute respiratory distress syndrome (ARDS), a grave and deadly form of acute lung injury, and other minor degrees of lung injuries. It includes acute respiratory failure owing to progressive hypoxemia, diffuse bilateral pulmonary infiltration, and reduced lung compliance. The hydrostatic pressure however remains unaffected in the patients suffering with acute lung injury (ALI). Acute lung injury (ALI) remains an important cause of illness and mortality among the critically ill patient population. 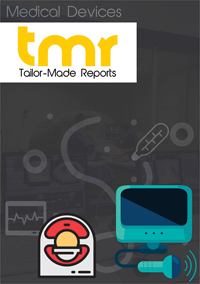 The Acute Lung Injury Treatment Market intelligence report is a comprehensive review of the growth trail in terms of current, historical, and future scenarios of the global acute lung injury treatment market. It offers an evaluation of the dynamics that are expected to impact the development of the market and the chief trends have also been specified in the research study. The research study also offers a broad lookout on the competitive landscape of the acute lung injury treatment market through Porter’s five forces analysis. The research publication provides references of mergers and acquisitions, the research and development activities, details on licensing and collaborations. The report probes into the strategies related to marketing, shares, and product portfolio of the key participants operating in the global acute lung injury treatment market. Acute lung injury is a part of the systemic inflammatory process where the lung demonstrates symptoms similar to other tissues such as extravascation of protein rich fluid, destruction in capillary endothelium, and interstitial edema. This leads to stiffening of the lungs and eventually triggering mismatch in ventilation-perfusion. Other contributory factors which are likely to lead to acute lung injury comprise pneumonia, sepsis, major trauma, and inhalation of noxious fumes. As augmented vascular leakage is a principal occurrence in the acute lung injury and thus, therapies are being targeted towards decreasing the leakage. Adenosine is also blamable for enhancing the endothelial barrier over the activation of adenosine receptor. Faron Pharmaceuticals, Ltd. is at present engaged in the development of pharmacological treatments for acute lung injury with the help of a consortium consisting European Commission, Traumakine program (University College London Hospital (UCLH) and University of Torino and University of Turku). The FP-1201-lyo treatment for acute lung injury is now in the 3rd phase of clinical trials and is anticipated to obtain European marketing authorization in the near future. Mechanical ventilation is the first choice for the supportive treatment of patients with acute lung injury. It includes delivery of air/oxygen at tidal volumes and frequencies to be enough to decrease the pressure on breathing with simultaneous progress in oxygenation. In case, a patient requires lengthy mechanical ventilation, the tracheotomy process is suggested that permits stable airway, mobilization, and ease out the deterring of mechanical ventilation. Though extracorporeal membrane oxygenation (ECMO) is not used extensively, it is in function for certain cases. The vendors in the acute lung injury treatment market are APEPTICO Forschung und Entwicklung GmbH, Altor BioScience Corporation, Bachem Holding AG, Carolus Therapeutics, Inc., Faron Pharmaceuticals Ltd., Discovery Laboratories, Inc., GlaxoSmithKline plc, Implicit Bioscience Ltd., and KYORIN Pharmaceutical Co. among others.